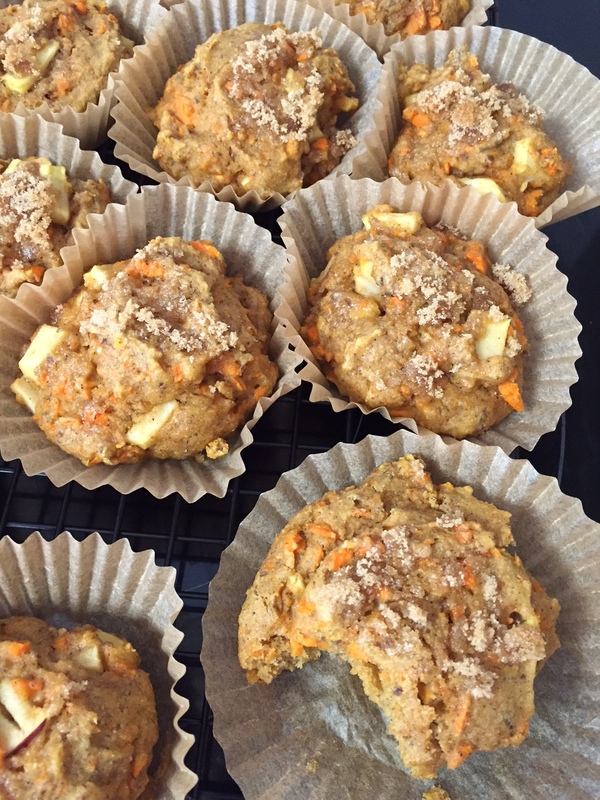 Fall Morning Muffins: Your Best Muffin Hack Ever – Fix. Serve. Muffins are a curious thing. I want to like them, but every time I eat one, I feel slightly let down. The top sets my expectations so high, only to have them crushed with a bottom that is so dry and boring. The middle, if done right, is spongy and enjoyable, but crumbly and messy. Ever try to pick the middle out of a muffin and leave the bottom behind? I have. Don’t do it in the car. Cutting the muffin in half would be the obvious answer for a more balanced bite, but I’m too lazy or in a hurry to grab a knife 95% of the time. And if I cut it in half, I inevitably add butter and honey. It’s just wrong to not. So that dwindles my choices down to a muffin top, which I think deserves a place at the bakery table (I did blog my accolades for a recipe I made), but they are a little too lacking in substance. I’m the Goldilocks of muffins. Too big, too small… I need something just right. Enter my accidental muffin hack! It’s possible that this is not news to more experienced bakers, but it’s new to me so I must share my excitement. A few weeks ago I was making muffins at my friend’s house and there was no muffin tin to be found. I had the muffin liners, so I put them on a baking sheet and proceeded to fill and bake as normal. What resulted was the absolute perfect iteration of a muffin! 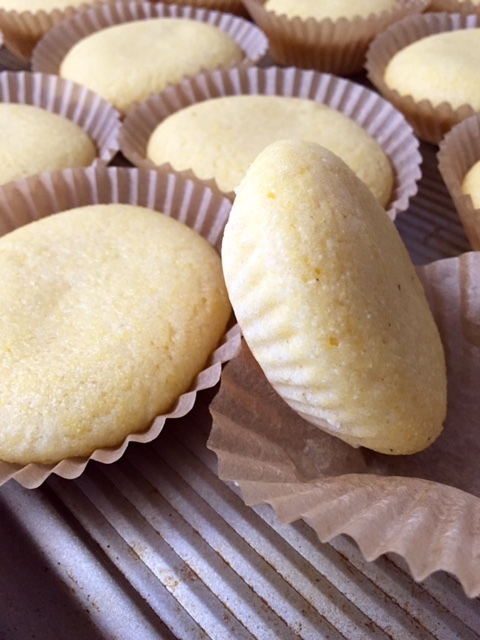 They were substantive, but without the confines of a muffin tin, they spread a little thinner making them a hybrid of a muffin and a muffin top. Genius! 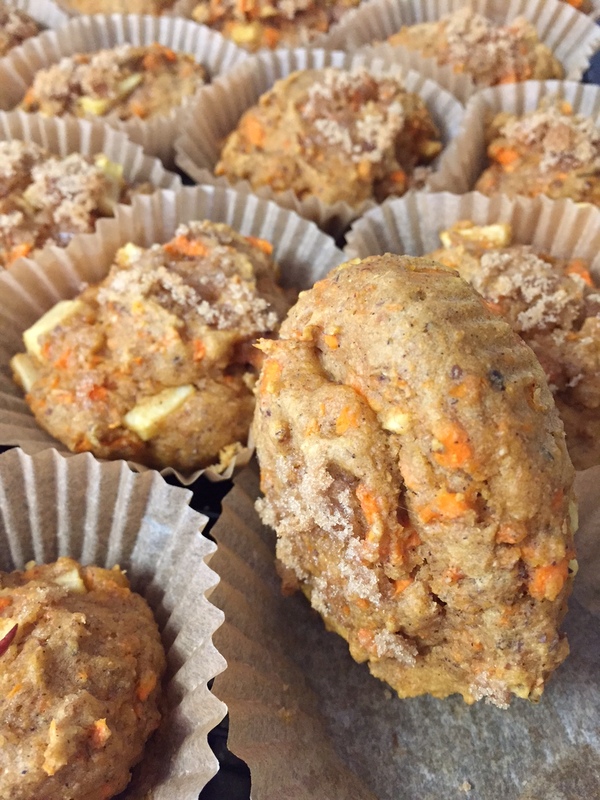 With fall coming on fast and furious, I was inspired to spice up my go-to morning glory muffin recipe and turn it into a fantastic fall morning muffin. These are not sweet by design, so if you want more sweetness, increase the maple syrup to 1/2 cup. I used the muffin hack and they turned out perfect. You’re welcome. in a medium bowl, combine dry ingredients (flour, baking powder, baking soda, salt, cinnamon, cardamom) and blend well. In a large bowl, mix together egg, egg whites, pumpkin, maple syrup, oil and vanilla. Add the dry ingredients and blend well. 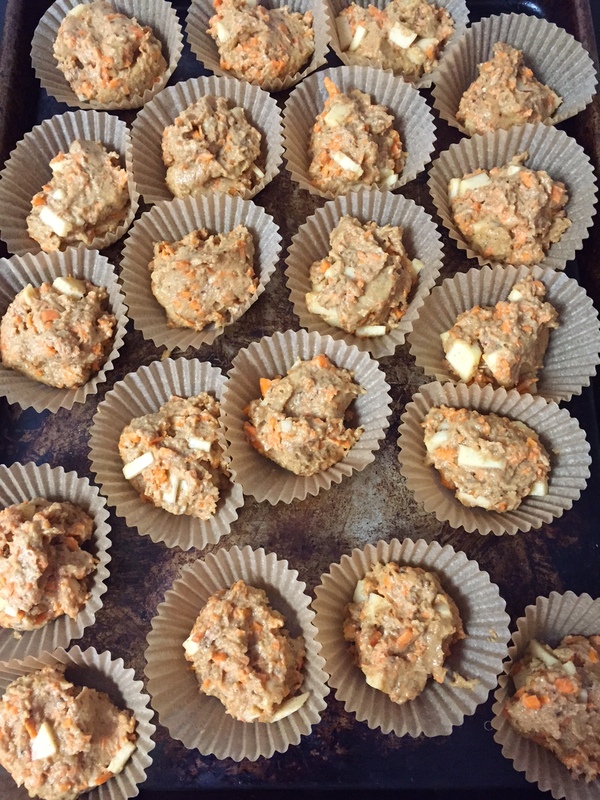 Fold in carrots, apples and flax seed. Fill each muffin liner about 3/4 full – the batter is thick, so use your judgement. Sprinkle brown sugar on top if you choose, and place on the center rack in the oven for 10-12 minutes until a toothpick comes out clean. They will bake a bit faster than regular muffins. Remove from oven and place on a cooling rack. Store covered at room temperature for up to 3 days or freeze. Enjoy your new perfect muffin! Pingback: Link Love | sort of a "mom blog"